If you planning for your summer holiday than Maldives is one great place to be choose, food are awesome, hotel staff are so helpful and the view was super fantastic, I guaranty that you will love Maldives so bad. Home for thousands of atoll, Maldives become a country which is has specific geographic condition since you landed in Velana International Airport (formerly called Ibrahim Naser Airport). Since all the boats, domestic flight, and seaplane will not active after 4pm so every of you who landed in Maldives after 4 pm are not allowed to go to the resort for safety reason. Because of it than you must looking for any kind of transit hotel nearby so in this travel guide I will let you know about cheap hotel for transit. There are several island that can be choose, you may choose to stay in a place next to the airport but i highly suggest you to stay around Male City, the capitol of Maldives. Here you you will see the presidential house, the city, and for sure get more food and local store to buy some merchandise. Velana Internation Airport is the main Airport in Maldives, they change the airport brand since couple years ago I knew it as Ibrahim Naser Int. Airport. 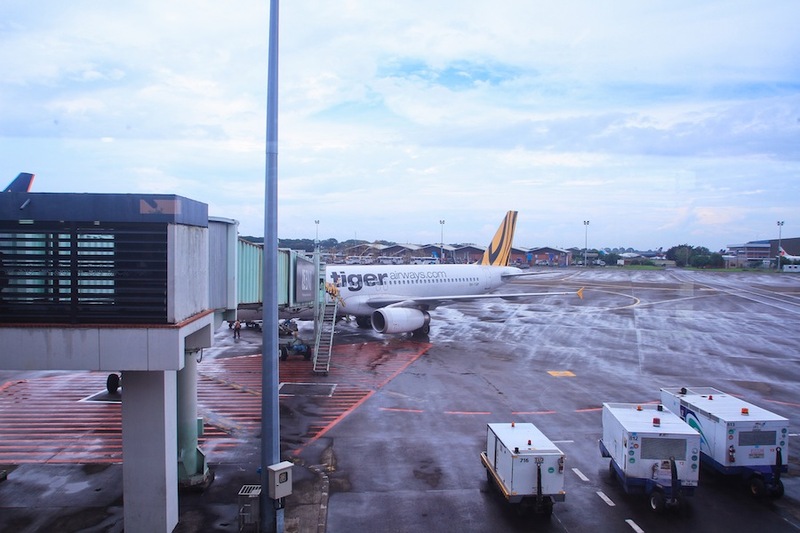 This time my wife and I flew directly to Maldives from Singapore using Tiger Airways, when you think to travel in a budget that you can bet on this place, it such a nice experience with them. 100% of Maldivian are moslem so when the Adzan (praying call) shouting than some of shops will be close for 10 minutes. Visa, I thing this is the one that you can stay for relax cause Maldives give free visa privilege for a lot of citizenship. I’m an Indonesian passport holder we think that we seems to be very hard to go overseas but here we also got a free visa too to go to Maldives. So if you are Singaporean, Malaysian, European, American, and etc I will guaranty that you will got the same thing as me, in case you want to check legally than you can go to Maldives Immigration. If you want to go to Male City than you can take the 10 minutes speed boat ride cost 10 Rufiyaa (USD1), simply go out from the terminal building and consider to change your money too than you will see a lot of boat standing by in a harbor, about 100 meter from the Airport terminal building. The picture you see above is the view once you touch down in Male City, road is quite narrow but you will start to smell typical Indian food surrounding. Make sure that you already book your transit hotel if you know that your flight will landed in Maldives after 4pm. Go check in and leave your luggage than you can start to exploring this amazing city. People of Maldives are so kind, I tried to sit down and talk to them about their habit, food, and culture in one small cafe. Once I arrived in Maldives, a nice boss in a bank help me and my wife to show where the hotel is. Just be careful if you walking and cross the junction cause majority of junction doesn’t have a traffic jam. Typical of Indian food are the one that you will enjoy here in Maldives, Maldivian are get a light breakfast in the morning, continue with complete lunch meal, and finish with a snacks and soft drinks for the dinner. After leaving my luggage in a hotel than I start walking to find some food for lunch. 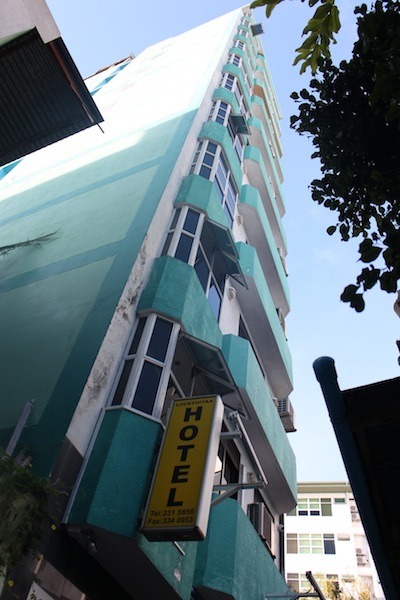 Male City is the biggest city in Maldives, so you will see a lot of cheap hotel for 1 night stay before your tomorrow ride to the beautiful island. Here are some under USD100 transit hotel including breakfast. *Affiliate links – If you make a booking for your hotel with those links above, with NO extra expense to you, I will get a small commission. Thank you for your support. When you love here for just less than 24 hours transit than I recommend you to walk, it’s quite interesting to meet the locals and eat together among them during lunch and dinner. Some pedestrian are quite small but people are so kind and even I don’t meet any people who push me to buy something in a souvenir shop. Please be respect with the locals especially during praying time cause some shop and store will be close about 10-15 minutes and they will open following the praying time. Speed boat or dhoni traditional Maldivian boat will be the best transportation if you want to go back to Airport or simply visit nearby atoll from Hulhumale or Male City. At this time I also post and sell my Maldives travel photos and once you need it for your blog or company than you can buy it on Shutterstock, thank you for your kind support to me so I can keep travel and write some good information for you.